And Joyce recently launched a website, stlouisguncrime.com, focusing on what individuals in the region can do to combat the rising homicide and shooting rate. As of June 2, 70 people had been killed in the city, the vast majority with a firearm. She joined host Don Marsh on "St. Louis in the Air" to talk about her decision in the Myers case, her crusade against gun violence, and, other issues and initiatives that aim to improve the city. Jennifer Joyce, St. Louis circuit attorney, joined "St. Louis on the Air" host Don Marsh to discuss crime, politics and more. Myers' case was the first to be investigated fully under the new Force Investigative Unit protocol of the St. Louis Metropolitan Police. That protocol calls for officer-involved shootings to be investigated by a separate group of detectives, rather than the homicide unit. Those files are then turned over to the prosecutor, regardless of whether officers determined a crime had possibly been committed. Joyce said her team, which included a federal prosecutor, started with an open mind, including accepting the possibility that the officer planted a weapon on Myers' body after he was killed. "I had heard rumors to that effect," Joyce said. "We took the airwaves, we asked the public many times to come forward. We sent many letters to the attorney for the Myers family, saying, you made these statements, please bring us witnesses. And he never responded." Joyce said her office subpoenaed the young men who were with Myers the night he died. All of them invoked their Fifth Amendment right not to testify. "At the end of the day, we make a decision to charge people based on the evidence that we have. When we looked at the evidence, we had nothing, nothing to show that any of those rumors were true," she said. "The evidence that we reviewed in this case all pointed to the fact that Mr. Myers have a gun and he fired it at the police officer. At the end of the day, you don' get to shoot at the police." Joyce pointed out that the report uncovered some things that were bad for the officer, and for the St. Louis Police Officers Association. For example, she said, the officer who shot Myers mistook him for another suspect he had chased earlier in the day. And she said the union was wrong when it said the gunshot residue found on Myers's hands and clothing meant the officer was clearly justified. "Actually, it proved nothing," she said. Joyce said she will never be able to convince her critics that her conclusion was correct, despite what the evidence says. "I'm kind of used to that," she said. "It's a rare decision that I make that doesn't make somebody angry. But we really struggled to put a comprehensive review out there of everything we looked at." Joyce said her website is meant to "inform people about the issue of gun violence in its entirety." "The frustration in the TV news is that they only have a limited amount of time, and they basically are just reporting crimes and not talking about the reason why we have gun violence, and what we can do about it. Our goal with our website is to educate people about the issue fully, and inspire them to take action, and then give them a list of things they can do. And its my belief that unless everybody in the community gets involved in some way, shape or form, we're not going to meaningfully move the needle on this problem." Joyce continued to express her dismay that in the city, gun possession is mostly a "crime without consequence," because of low bails and sentences of probation. But she was not fully behind an idea from police chief Sam Dotson to rank judges on how they handle firearms cases. "I don't know that it's a good and productive thing," she said. "These cases are complex. To track decisions without the larger context, I don't know if that's helpful. And I think a lot of the judges do take this issue of gun crime seriously. I don't think you can paint them all with the same brush." In the absence of a dedicated docket for gun crimes, Joyce said her office is doing what it can to stem the wave of violence, taking ideas from places like New York and Kansas City, Mo. "I have a number of different yardsticks," she said. "I want to see a reduction in gun crime. I want to get through the summer without a ridiculous amount of homicides. The rolling gun battles in daylight that are gang-related, I want those to stop." But she also added that she keeps a picture on her desk of a 19-year-old who has seen several of his friends from the Downtown Taliban gang shot and killed. "And we know from social media that he is interested in getting revenge," Joyce said. "One of my measurable goals is I want him to still be alive at the end of the summer." While she said Missouri's law governing when police can use deadly force may need to change to match a U.S. Supreme Court opinion, Joyce said it's much more important to stop an officer-involved shooting in the first place. Experts have told her that most police shootings are "lawful but awful" -- that is, legal under use of force guidelines, but tragically able to be prevented. "And I think that is where our opportunity lies as a community is to take a look at how police are encountering these situations and are there ways that we can bend the trajectory of this engagement before it turns into a situation where the officer feels that their life is at stake and they need to fire," Joyce said. She was hesitant to question the rapid decision by fellow prosecutor Marilyn Mosby to charge six Baltimore city police officers in the in-custody death of Freddie Gray. "How you do it is not so much a function of what you do," she said. "What you need to do as a prosecutor is look at the evidence and determine whether a crime has been committed, and if you have the evidence to prove it beyond a reasonable doubt. If you don't have a yes to both of those questions, it's not appropriate for you to file charges as a prosecutor. So I have to assume that she had a yes to both of those questions quickly, and was able to file those charges quickly." 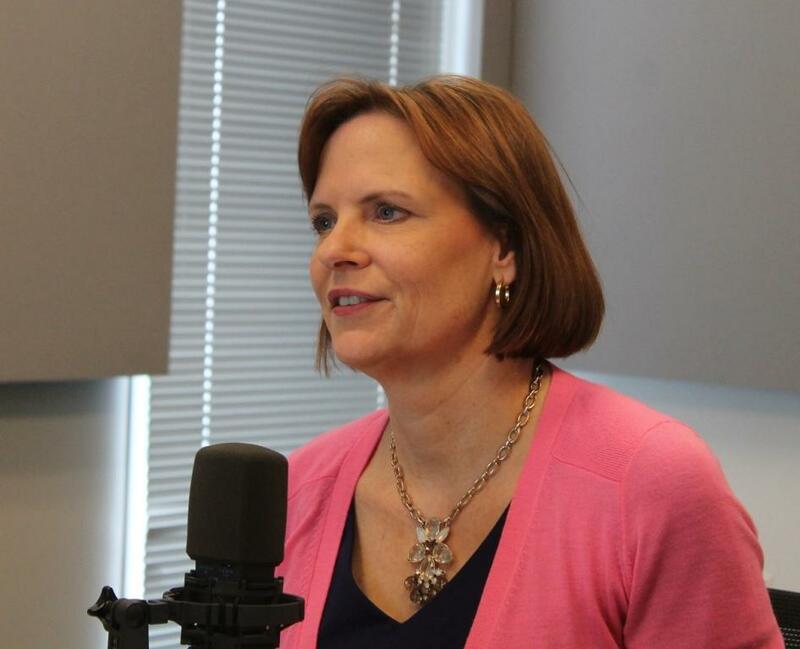 On the April 19 "Politically Speaking" podcast, Joyce said she planned to run for a fifth term as prosecutor. But she was much more equivocal on "St. Louis on the Air." "I am considering all my different options right now," she said. "I've told my staff that I'm going to make a decision by the end of the summer, but the summer is very important in terms of gun violence." She did not rule out running for a different office. "I don't like to raise money, but being a lawyer, I can certainly evade questions," she said. In an interview afterwards, Joyce said she was mindful that she'll be the city's longest-serving circuit attorney at the end of this term. In her early 50s, Joyce noted that neither of her parents lived to see 60, so she is contemplating what else she might want to do, should she not seek another term. That said, she emphasized that the recent protests outside her home aren't discouraging her from continuing in office. In fact, Joyce said that the protests are more likely to influence her to run again.